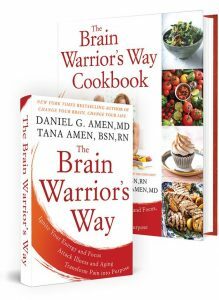 Dr Daniel Amen:	The Brain Warrior's Way podcast is brought to you by Amen Clinics, where we've transformed lives for three decades using brain SPECT imaging to better target treatment in natural ways to heal the brain. For more information, visit amenclinics.com. Tana Amen:	We read them. Dr Daniel Amen:	It inspires us. Tana Amen:	We read them. It also helps us because we know what you guys want to hear, and we like doing it. I want to read this one. This is from Kindred Spirit, "Love, love, love your podcast. I listen regularly on my commute to and from work. I've been a fan every since the Daniel Plan," so long time. "Ever since the Daniel Plan came out, and I Googled you to see just who Rick Warren was." So they started listening to the Daniel Plan without even knowing who Saddleback Church or Rick Warren was and was keeping company with. "Big fan of Daily Hope also. I get your regular emails as well, and so much appreciate the good advice and great information. I share much information with my Human AP students during our nervous system unit." That's awesome. "I really appreciate re-enforcement of basic concepts I've preached for three decades as well as the new or modern info that is not in the textbook yet. Keep doing what you do. You are changing lives for the better." Dr Daniel Amen:	I love that. Tana Amen:	Yeah, me too. Dr Daniel Amen:	So, in this week, we are going to talk about an area of your brain that's so important, and it just doesn't get any respect. It's called the nucleus accumbens. The nucleus accumbens. What's that? It's a little pleasure button in your brain. You have two of them, and when you push on them, you feel happy, driven, motivated, you're going to do it again. And it works on a neurotransmitter called dopamine, but you don't want to push that thing too often. Otherwise, you wear them out. Tana Amen:	Well, and we write a lot about this. This is precisely why food is addictive. It's precisely why certain things become addictive like video games and stuff like that. It's because of this little nucleus accumbens thing and what happens to it when you do certain things. Tana Amen:	And the food companies have known about it for a very long time. Dr Daniel Amen:	And the book is called Hooked, and it's how to create addictive products. And so our iPhones or your Samsung phone is totally addicting, and it was purposefully made that way so it's constantly stealing your attention. But we're going to protect your pleasure center so that you can live with passion and purpose, and avoid addictions and depression. And passion and purpose is associated with so many good things. Tana Amen:	Like longer life and happier life. Dr Daniel Amen:	Longer life, better sleep, self love, personal growth, more happiness, less depression. It's also, purpose has been associated with mental sharpness, less risk of Alzheimer's disease and slower decline with age. Tana Amen:	Isn't that interesting? That's so interesting. Tana Amen:	Lower risk of Alzheimer's disease because you're purposeful. That's fascinating. Dr Daniel Amen:	Because you are purposeful. Tana Amen:	That's just fascinating. Dr Daniel Amen:	It gives you a reason to get up in the morning. It gives you a reason to eat right. It gives you a reason to do the right thing, and here at Amen Clinics, we have our purpose statement. We want to change how psychiatric medicine is practiced by 2024, by adding imaging. We talk about that on the podcast. Natural ways to heal the brain and a personalized medicine context. Tana Amen:	On a very personal level, and I know some of you will relate to this if you are parents or you've got parents you take care of, things like that, because I've got a daughter that's underage, and I often ... there's this little bit of worry in the back of your mind that you need to take care of yourself because you know you've got this person you have to take care of. And that's always been there for me, from the minute I became a mom. How I take care of myself completely changed the minute I became a mom, and then it got worse the day she walked in the kitchen and said, "I have a goal for you. You have to live to be 100." I'm like, what you can't give me that goal. But she worries about something happening to me. And now all of a sudden, it's a worry, but it's not necessarily a bad worry, because what I find is even though it's annoying that she did that, I find myself, even when I don't feel like getting up and exercising, even when I don't feel like eating something healthy or I feel like going and having something that isn't good for me, that little voice, her little voice, in the back of my head going, "I need you. You need to be here," is just always there. That's purposeful. That's purpose. Dr Daniel Amen:	And so few people actually think about that, that children do what you do, not what you tell them to do. So are you modeling health? Or are you modeling illness? So getting in touch with your purpose is so important. Tana Amen:	Well, and just being here until I'm 100, if I'm a complete burden to her is not helpful. Tana Amen:	I was 35. 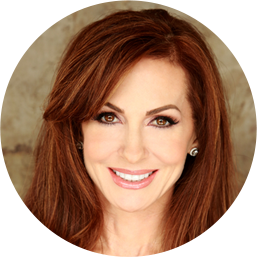 Dr Daniel Amen:	And she's 65, and you totally want to see what kind of adult she's going to be. She's an awesome teenager. So where does passion and purpose live in the brain? And so we talked about the nuclear accumbens. There are also deep structures in the brain that you need to keep healthy because the areas that produce dopamine and respond to dopamine, when they die, you end up with Parkinson's disease. You end up with movement disorders. You end up with depression. So you want to protect your pleasure centers. Tana Amen:	Sugar, fat and salt. Dr Daniel Amen:	That's where sugar, fat and salt work. Tana Amen:	Food companies figured that out a long time ago. 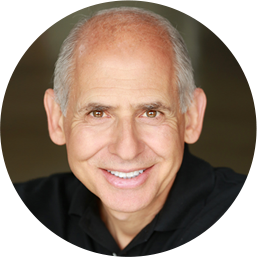 Dr Daniel Amen:	Total psycho. Tana Amen:	Getting scared is not a good thing. Tana Amen:	So let me clarify this. Are you trying to say that the fight or flight response is connected to dopamine being too high or too low? Tana Amen:	And didn't someone study this in people who didn't do well on those sites got depressed? Dr Daniel Amen:	That's right. Dr Daniel Amen:	I did. Dr Daniel Amen:	Dr. Oz and I did. Dr Daniel Amen:	Someone did, yeah. My husband and who knows. Tana Amen:	Why are you studying Tinder? What are you doing studying Tinder? Dr Daniel Amen:	I'm not doing it for myself, trust me. Tana Amen:	Yeah, that would be really bad for fight or flight response. You would be flying, I'd be fighting. Dr Daniel Amen:	It's back to the addiction cycle, my daily threat of my life. Tana Amen:	Gives me my dopamine. Tana Amen:	It's not bad for me, though. Tana Amen:	It's like overworking a muscle. Tana Amen:	Yeah, if you notice when you have a bite of something and you're like, "That's really sweet." But if you don't, then it takes more and more. Dr Daniel Amen:	And so when we come back, we are going to teach you how to take care of your pleasure centers so that you can feel better fast and make it last. And if you go to feelbetterfast.com and order or pre-order the book, we have all sorts of gifts for you. Stay tuned.